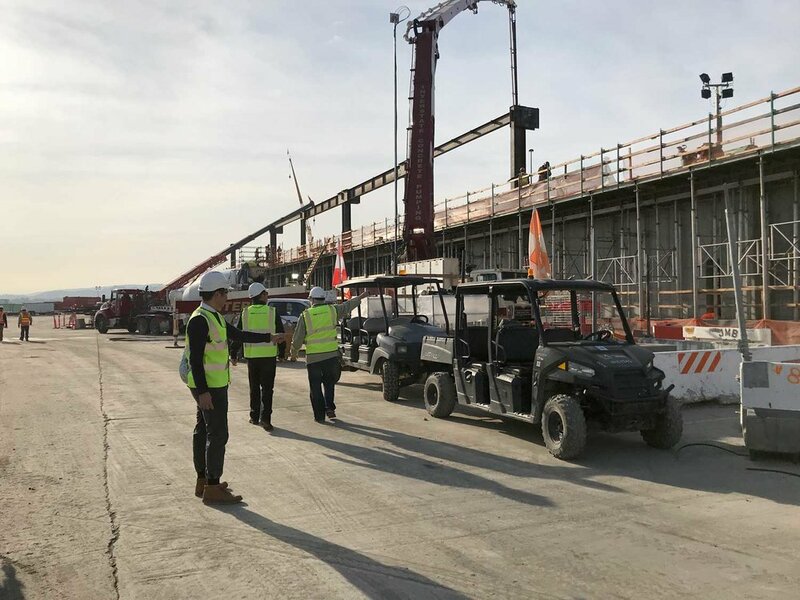 In December, TSAO San Francisco staff visited the T1C - Boarding Area B construction site at San Francisco International Airport (SFO). 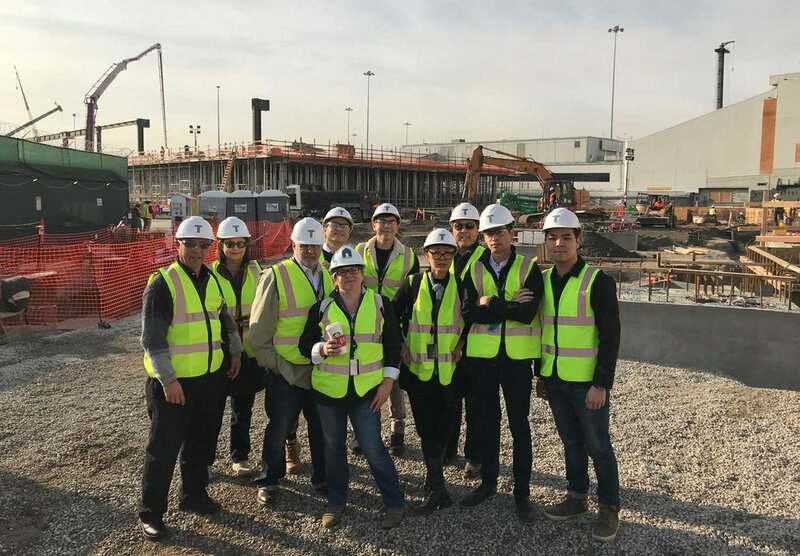 The team explored the first of three major construction phases for Boarding Area B, and watched as the first area of the concourse level was poured along with the apron level columns being erected. This is a ground-up renovation of Boarding Area B, the phases allow for the continued operations of the Interim Boarding Area B, which is currently home to Southwest Airlines and Frontier. Phase one is expected to open July 2019. When complete in 2021, Boarding Area B will have 875,062 sf over 3 levels, not including the jet bridges, 24 gates with 3 international gates capable of housing A380 Aircrafts, and an efficient integrated and flexible Baggage Handling System that utilizes state of the art technology – the Independent Container System (ICS) – the first of its kind in the United States. The TSAO Design Group project team, led by Doug Deremer, Jonathan Argueta and Erik Castro, is responsible for the architecture and airside planning on the ramp and apron level of Boarding Area B.